← Blast it! I forgot my bag! That’s right! Acorn squash. Of course you can do the same with almost all fruits and veggies but while cooking this a few months back, I thought—ZERO WASTE! Made my heart and my compost very happy. What is your favorite zero waste food? This entry was posted in Food and tagged Compost, Environment, Food waste, Garden, military lifestyle, military spouse, zero waste, zero waste food. Bookmark the permalink. Glad to see you posting regularly again! Roasted ANY squash is a favorite hot topper for a cold salad, not to mention hearty soups or color-dressing rice-y side dishes. 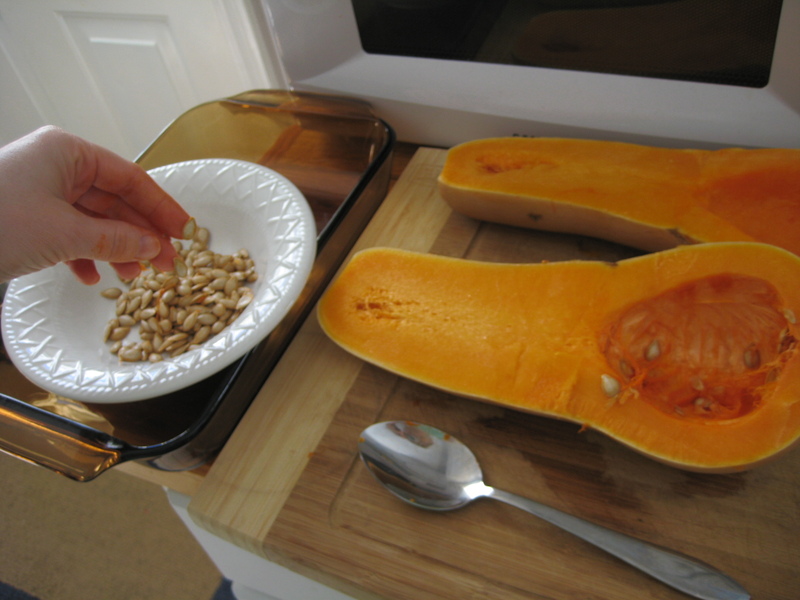 Some hard winter squashes keep for weeks on the counter until ready for use, and they are the most willing “volunteer” to sprout (from haphazard seed disposal) around the compost without human help. Bonus squash for next year…the gift that keeps on giving. Your post made me realize that the juicer I used this morning fits the zero waste category. I juiced apples, carrots, Swiss chard and kale. The bin capturing the waste pulp went to my worm bin along with the apple core and the carrot tops. The foam I skimmed off of the top of the juice was added to the pulp headed out to the worm bin….ZERO waste! @ Shannon—the gift that keeps on giving. That’s awesome. I did that with a rose bush once as a gift. @Bishop–I am enjoying your brews! Not in my tummy yet, but you have those ideas a rumblin’ now!